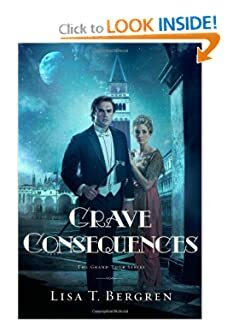 I enjoyed the first book in this series (my review) and Cora and her three suitors are back, along with most of the other main characters from Grand Illusions. Another attractive interesting man is also important to this episode. That's my only real complaint about this book, this series--it is a series of episodes in the same story rather than a bunch of lightly related stories. Without completing the series, the reader is left wondering what she missed. That may be good for selling books, but as a reader, I prefer a complete plot arc, including resolution, in the books I buy. On the positive side, the descriptions of the local and time period are lush, the characters are interesting and the plot is engaging. Grade: B. Thanks to Litfuse for providing a complimentary review copy. I was not obligated to write a positive review.